If you want to train your gundog to compete in Field Trials or other competitions, you have landed on the wrong site! Call me, and I will point you to someone who can help. I specialise in helping people who have family pets that they want to take shooting. 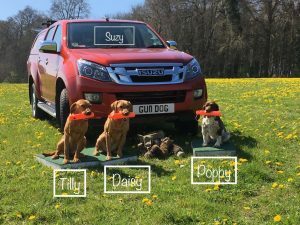 I help establish the basics in obedience so that dogs are biddable in the home environment and teach gundog skills so that owners and dogs can be effective and have fun together in the shooting field. I do not compete with my dogs and I won’t train dogs to compete. I do not believe in some of the harsh training methods that many professional and competitive trainers use to train their dogs to the high standards required of a top gundog. I teach people, not dogs. I work on teaching ordinary people with ordinary dogs to have fun together, enjoying a relationship based on clear rules, boundaries and respect. I coach people in methods of encouraging good behaviour with rewards and deterring unwanted behaviour with corrections. But my methods never cause pain, harm or distress. I suppose the first thing that I should admit to is that I am not a fully professional dog trainer. I don’t train or show my dogs for a living. Rather, I am someone who has owned and trained dogs as a passionate hobby for over 25 years. All my dogs have been working pets rather than professional working dogs. My dogs are very much part of the family: they have their own beds, they curl up on the sofa, they play games and have the same fun as any pet dog. In summary, my dogs are very much members of the family. 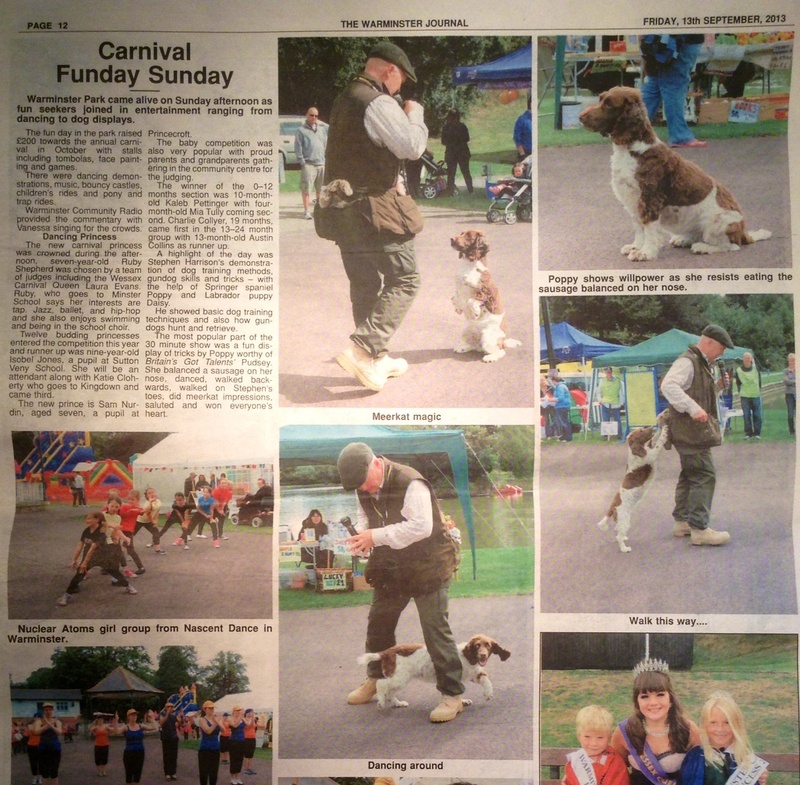 I work them on local shoots and stage gundog demonstrations around the country. But I do not compete with my dogs, as I have witnessed and disapprove of some of the training methods used by professional Field Trial competitors. I am very lucky to have served my Gundog training apprenticeship with Howard Kirby of Mullenscote Gundogs, probably the best Gundog trainer in the country. I met him in 2008 and, having been a pupil of his, he asked me if I would help run some of his courses, training days, shows and demonstrations. I became his Director of Training and Head Trainer at Mullenscote, running puppy, foundation, bronze, silver, gold and platinum level courses for all breeds of dogs and levels of handlers. 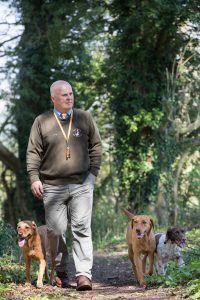 I now run my own training concern, offering one-to-one and group training to Gundog owners in my local area near Warminster in Wiltshire. WHY DO PEOPLE COME TO ME? Most people come to me because they have an issue with their dog. Very few come to me before they start training, which is a pity, as it makes the training so much easier and quicker. As a general rule, I find that the overwhelming cause of problems with dogs are the people! For example, training in the basics of sit, stay, heel work and recall has often not been cemented in before the dog has been exposed to greater pleasures in the big outdoors! Quite often, there is a lack of consistency, structure and respect in the relationship and/or handlers have inadvertently been teaching the dog bad habits. So, more often than not, in order for me to help owners move forward with their dogs, we have to go back to basics and re-educate people before we start being too ambitious with advanced skills. What I don’t do is train people’s dogs for them: I very much focus on the humans rather than the dogs. I explain, demonstrate and teach all the techniques required, but the commitment and time has to come from the owners. Somebody once said “the only thing 2 dog trainers will ever agree on is that a 3rd trainer is doing it wrong!”. I don’t claim that my approach to training is unique or that there aren’t better ways: there almost certainly are. But what I do believe is that, whilst there are many ways that work, there are also ways that are definitely wrong. I include in this group any method that causes a dog pain or distress. Not only do these ways not work as well, they are not necessary and cruel and tell you more about the inadequacies of the handler rather than the supposed shortcomings of the dog. It’s easy to recognise a dog that responds to its handler out of fear rather than out of respect, trust and friendship. My approach to dog training is very simple: it’s not rocket science at all. I believe that your dog is a reflection of you. 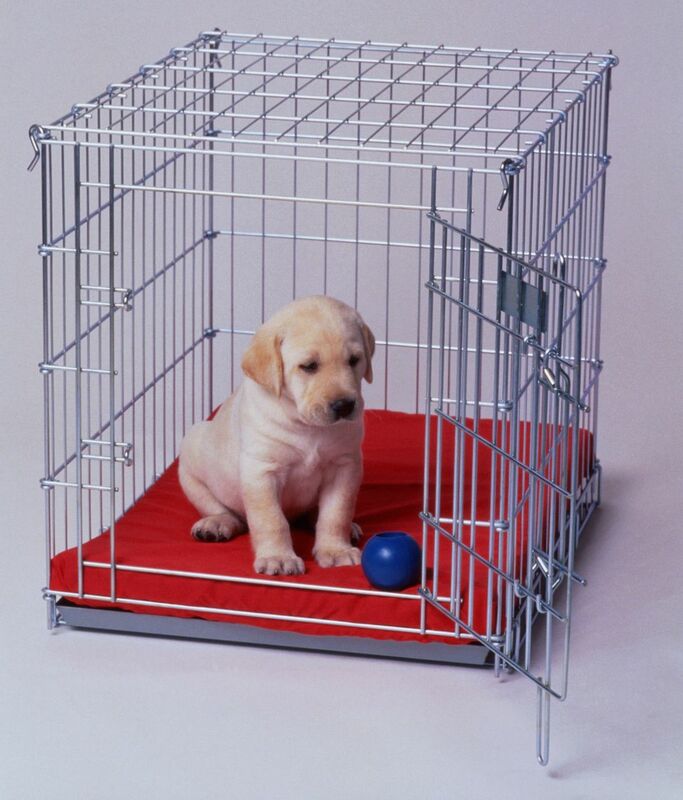 If your dog is displaying unwanted behaviour, you are the problem and you are the solution. If you (and all the other humans who handle the dog) are able to recognise this and make changes, your dog will change with you. This is always my starting point: your dog is not the problem, you are – and providing you can accept this, progress can be made by training you to train your dog. I use positive reinforcement to encourage good behaviour and I correct my dogs for unwanted behaviour – more about this later. I see dog training as being black and white: there are no grey areas. This means that when a dog is doing something right, it is praised and/or receives a reward: it is therefore more likely to repeat the behaviour in the future. But when it is doing something wrong or unwanted, a correction should follow, which leaves the dog less likely to repeat the same behaviour again. I am not a believer in the widespread practice of rewarding good behaviour but just ignoring bad behaviour: I believe a dog learns much faster when they are corrected effectively for doing something wrong, shown what is required and then rewarded when they get it right. To me, this is logical. But the mistake many people make is being inconsistent in what they treat as wanted and unwanted behaviours. If a particular behaviour is not allowed, then it should never be allowed and should be corrected. But if a behaviour is one you like and wish to encourage, then it should always be praised. And it’s not just the dog’s owner or main handler that has to be consistent: it’s everyone who comes into contact with the dog, particularly children who often find it hard to apply the same rules as adults do – but it’s just as important if you want a balanced and obedient dog. To be inconsistent is to introduce grey areas into the dog’s mind, to confuse it and encourage it to ignore you as pack leader. A classic example of this is encouraging your dog to retrieve, something I spend a lot of time doing with gundogs. If, in training, you encourage your dog to pick up and carry the things you throw, you can’t get angry if you leave something precious lying around and your dog repeats the action for which it has always been praised. So, even if your dog picks up your most precious possession, if you get angry, you risk undoing all your training and erode the confidence and trust your dog has in you. After all, your dog, particularly a young dog, doesn’t know the difference between the dummy you have been throwing for it in your training sessions and your best shoes! In fact, as I’ve been writing this, I’ve discovered my Labrador puppy has found and chewed the plastic bottle containing powder to treat mites on the chickens! Whose fault is that? Mine. Did I get angry? I wanted to, but that would have been totally wrong, particularly as less than 30 minutes ago I was praising her to the heavens for picking up a plastic training dummy. Discipline is, in my opinion, one of the key ingredients to having a balanced dog, the others being consistency, affection and exercise. Most people don’t have a problem with these latter 2 ingredients. In fact, they tend to overdo them, particularly the affection side and treat their dogs too much like children. This is often at the expense of discipline, which a dog both needs and wants. The dog wants to be treated as a pack animal, live in a structured, disciplined environment, one in which the rules, boundaries, limitations and consistency demonstrated by its pack leader are crystal clear and never abused. For this is what happens in the wild and it is an environment that we, as leaders of our packs, have to get right if we want a balanced dog. When I “correct” a dog, this NEVER involves inflicting pain or distress. There are many ways of showing your disapproval to a dog. These include growling, saying “no” or “Ah! 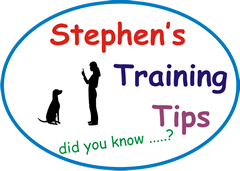 Ah!”, a tap with the lead, moving towards your dog in a purposeful manner, depriving the dog of your attention, lowering the tone of your voice, bending over the dog, right up to using three fingers to poke the dog in the neck or flank. This latter technique is designed only to snap a dog out of what it is doing, to refocus the mind away from what it was obsessing on. It replicates exactly what happens in the wild: if a pup oversteps the mark with another dog who is higher up in the pack hierarchy, there is a short sharp snap and then it’s over. And this latter aspect is most important when correcting a dog: a dog should be corrected only at the point and time of misbehaviour. This is because the dog lives in the “now” and won’t understand a correction given 5 minutes after the unwanted behaviour. The correction should be short, proportionate and register in the dog’s mind as something unpleasant but, as soon as the dog complies, your “bad cop” attitude must change into “good cop” behaviour and you must reward the dog so that it learns. This latter part is something many dog owners fail to do: every correction must be followed by instruction and then reward. Don’t leave your dog having been corrected without immediately showing him/her what (s)he should have done and rewarding it. It’s called leadership. The lesson you want your dog to learn is “whenever I do this, something unpleasant happens, – so I won’t do it again” but equally “whenever I do that, something nice happens and I get rewarded – so I’ll do it again”. I could bang on for hours about training. But I’ll resist the temptation. I suppose I could summarise my approach to training by saying that I accept that my dog’s behaviour, both good and bad, is down to me. I try and behave towards the dog as its pack leader would in the wild. I try to be consistent and ask that my family members are equally consistent. I communicate my pleasure and displeasure not with words but with actions, body language and energy. I try and remember every day that the dogs live in the “now”, they don’t have emotional baggage as we humans do and they can’t rationalise or understand everything we say to or want from them. I try to be firm but fair. I reward all behaviours I want to encourage, I correct all behaviours I wish to discourage, followed immediately by instruction and reward. Whilst my pet gundogs are members of my family, they need to know their place. And this relationship leaves us all feeling calmer – or that’s the theory anyway! Most importantly, I try and enjoy my dogs. If you’re not sure if I’m right for you, call me (07789 233977) and discuss your needs and concerns! Bear in mind that I’m not in this business to get rich! It’s more of a hobby. So if I don’t think I can help you, I’ll point you in the direction of someone who can. Your and your dog’s needs come before anything.